Wow you guys, these few months of Georgia's short life have been filled with wonderment as she continues to blossom and develop right in front of our eyes & at lightning speed! These moments are so bittersweet because I can see her personality growing and I just LOVE the darling little soul this one has. At the same time, it makes me realize just how fast these moments go by and how important it is to soak every moment in. I thought I'd share with you guys Georgia's current favorites (and some of mine as well) as we have bought new toys and acquired lots of hand-me-downs, and garage sale finds that have been such great purchases for the fraction of what we'd pay for them new. I'd highly recommend sale apps like Mercari (use my referral code of JCDXMJ and receive $10 off your first purchase!) for buying used stuff and also selling the things you no longer use! So without further ado, here are some things we are currently loving! 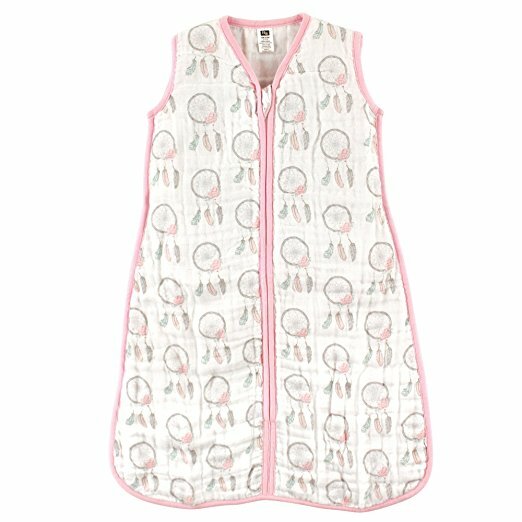 Hudson Baby Muslin Sleep Sack in Dream Catchers – I shared couple of IG stories with Georgia in this sack and I got SO MANY people asking me where it was from. It's from Amazon (where else?!) and although it's not Prime, it came quickly and was on sale for $10.00. 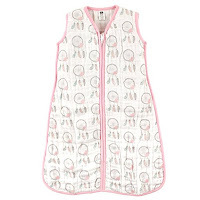 They have several other patterns and sizes. I felt like Georgia was freezing at night in her bassinet or even when she slept in our bed, her cheeks and hands were so cold but she is not old enough to have a blanket to sleep with so I thought this would work well & it has. I ordered 6-12 months and 12-18 months. Safety 1st Walker – I got this walker for $5 at a garage sale and it was probably the best $5 I ever spent. My mom has the exact same one but in different colors & patterns that she also bought from a garage sale and Georgia definitely loves rolling around on our hardwood floors. A brand new one goes for about $45 on Amazon. 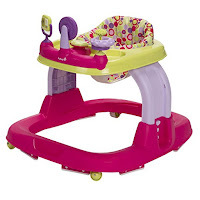 I like this one because it has 3 different height adjustments and it plays music and has some toys on the tray they can play with. Little Tikes Snug N Secure Swing - this swing has been awesome & for $27 on Amazon you just cannot beat it. My parents have it at their house and the have since hung it in the garage since the weather has gotten cooler, eventually it will go in the basement for winter as well. And Georgia absolutely loves it! These organic onesies from Estella. The fabric of these organic onesies is amazing and so soft! I love the hot dog one, the avocado one, and the Old Soul one the best. I also love their baby toys too. Right now you can save 15% off your order with Ridley15 at check out as well. 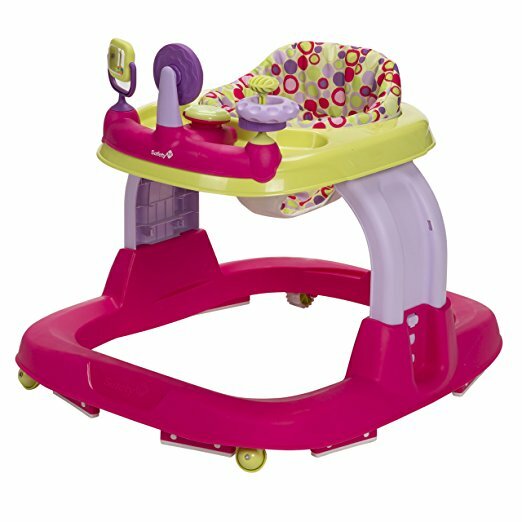 Vtech Turn & Learn Driver - this is probably her most loved toy right now. It has all kind of cute songs that you'll undoubtedly be singing to yourself in the shower, at work, and in the car because you'll hear them so often! Bonus, this is on sale for $12 right now on Amazon! We got it from at friend for $5 (another garage sale win) and she's been obsessed with it! What are some of your babies current favorites? I love those sleep sacks. I used them all the time with Olivia until she learned to unzip herself. And going to check out those onesies now, because that hot dog one is killing me. Sleep sacks are the best! Our 2.5 year old still uses one and I swear it kept her from crawling out of her crib. She's the cutest! I know my brother and sister in law have loved sleep sacks for my nephew. They said those were game changers. Baby stuff is just the cutest!